who used to teach in Sarawak & has gone on to make an impact as an educator. I recently traveled across the US on a train to meet with nonprofits & education advocacy groups in 5 different cities. I've learned a great deal about the education disparities that exist in the US & I will share my insights as well as field questions during this webinar by TEDBET of MELTA. 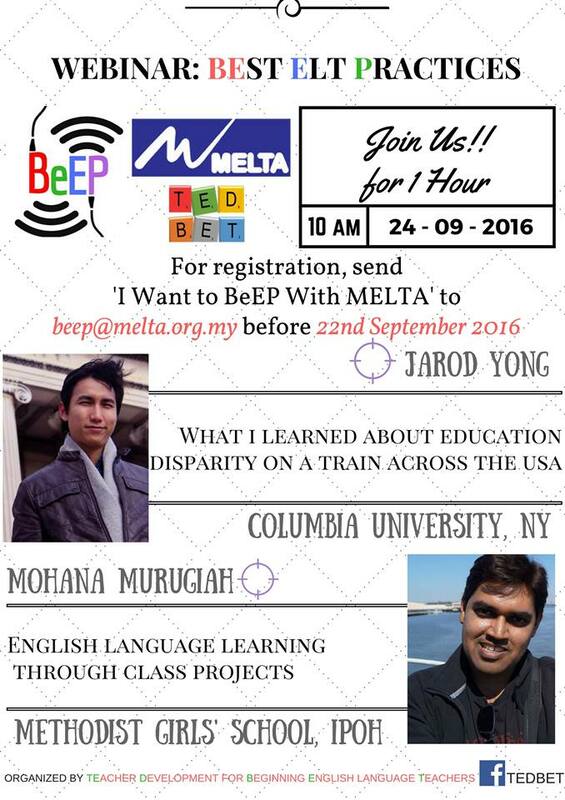 To sign up, send "I Want to BeEP With MELTA" to beep@melta.org.my. Register by Sept 22, 2016. Title: "What I've Learned About Education Disparity On A Train Across The USA"